Super excited for the new Learning Center on Lesvos! This project is part of our Camp to CampUS philosophy and is based on educating. It not only helps raise self-awareness within residents, it also promotes equality and gives empowerment! Read about the values we try to teach through this program. Education helps question & think analytically towards situations, actions and behaviors. It also helps you learn more about yourself, which is a super important factor for our residents who oftentimes feel displaced during their journey! An educated mind oftentimes comes with confidence and the ability to have faith in yourself. This is especially important for the women, men and children on Lesvos to have confidence in the fact that they have rights like everyone else and that everyone is equal regardless of race, gender, social class. Next to equality, an educated mind feels empowered. The ability to believe you are worthy and capable of achieving your goals. One of our biggest missions On The Ground is to create a sense of self-trust and worthiness within our residents. The initiative, 'From Refugee to Employee', aims to do just that! Education helps differentiate between what's wrong and what's right. This helps with fitting into society, and later the working environment. Education also creates a lower crime rate, an increase in economical growth and environmental benefits in a society. Digital education helps learners connect and communicate and work towards building a better future and eventually, a better world. Our DLL classes help are a great way for residents to connect with recruiters, do freelance work, and make friends around the world! 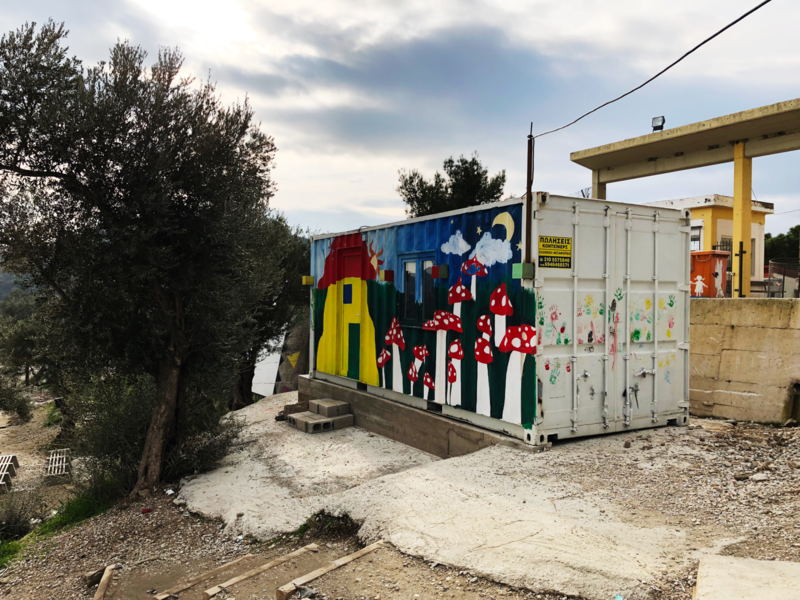 Since education is super important, we're building yet another Learning Center on Lesvos! We are currently raising money for this initiative. Would you like to help us with this project? Make a donation now!